Recipe for Pulled Chicken, super delicious and tasty! I am completely in love with pulled pork. I normally make pulled pork out of 4-5 kg (9-11 pounds) pork and then I just freeze the prepared meat in small plastic bags. Then I can take it out of the freezer in the morning and reheat it for dinner in the evening. Simple and super delicious! After having had so must pulled pork I decided to try out pulled chicken. 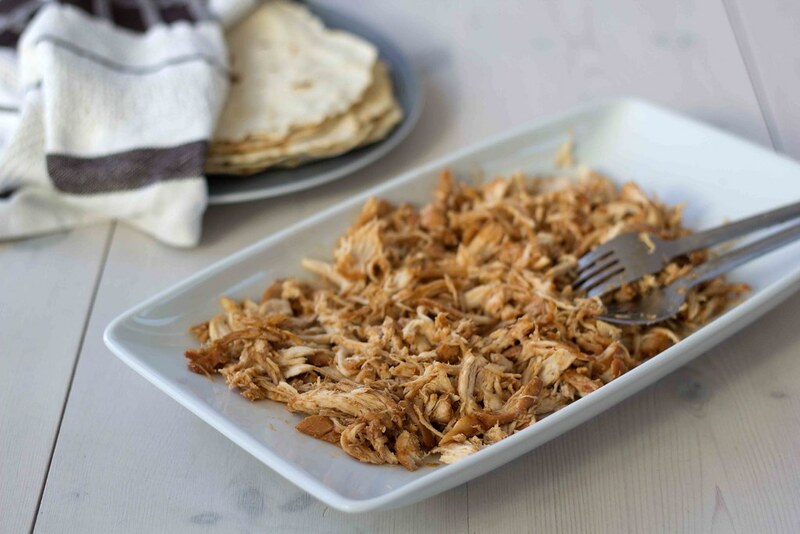 In this page I describe how you can make healthy and tasteful pulled chicken. 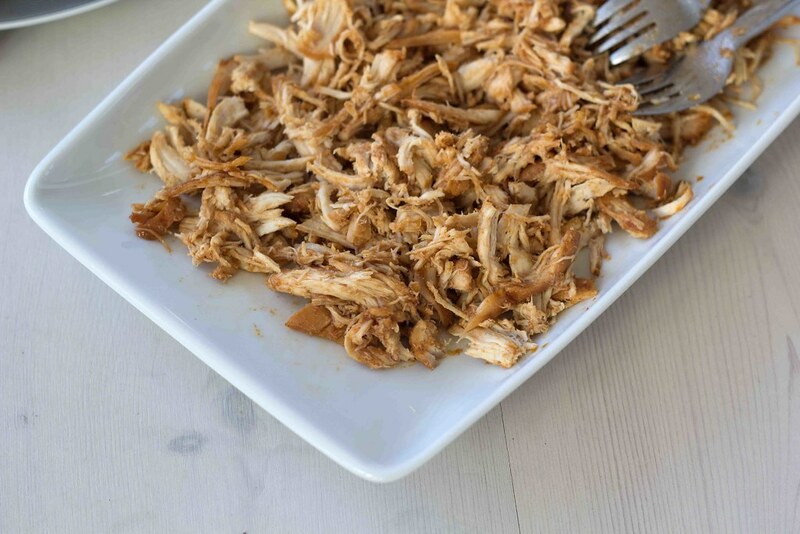 The great thing about pulled chicken is that it is not that difficult and time consuming to make compared to pulled pork, at least if you follow my recipe. The cooking time of the chicken fillets is only about 3 hours compared to 10-15 hours for pulled pork. However, you get the best result if you marinade the chicken fillets overnight to make sure all the nice spices kicks in. 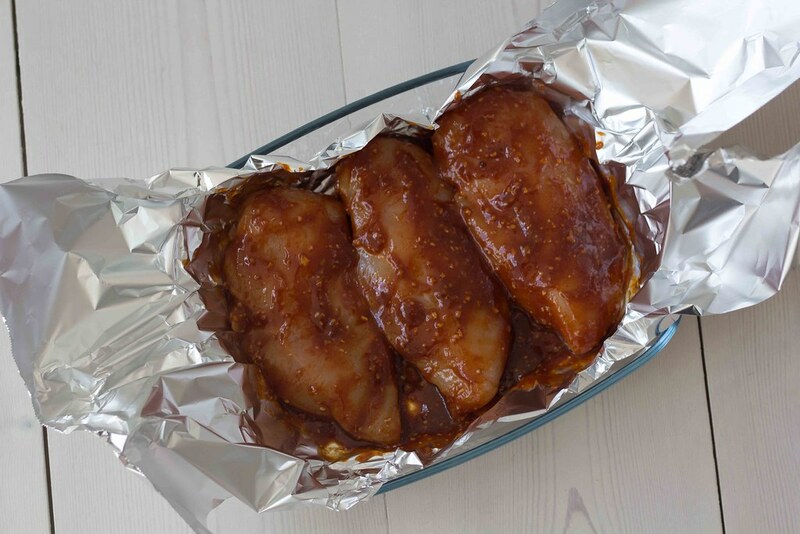 The marinate step can be skipped if you are in a hurry. 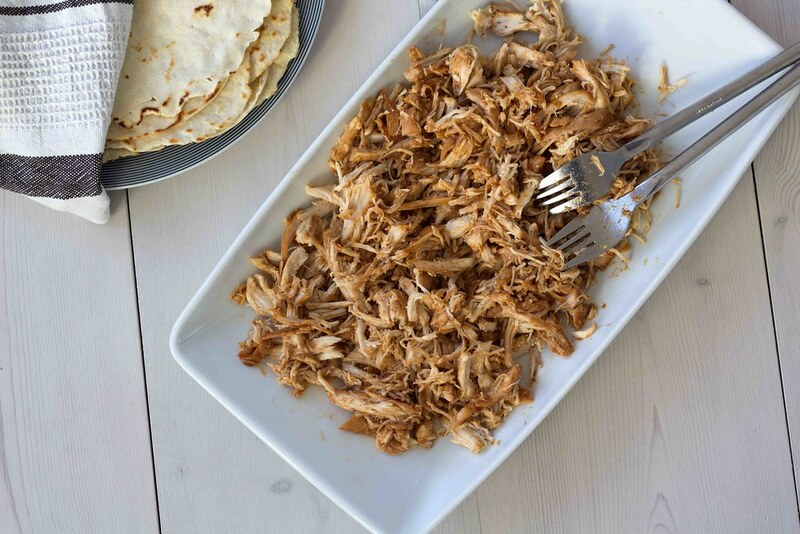 Because pulled chicken is made out of chicken fillets it is a very healthy alternative to regular pulled pork which has a larger amount of fat and calories. You can choose to serve the pulled chicken with homemade burger buns or maybe in a homemade flour tortilla. In both cases the chicken goes great with coleslaw. 1. Mix all the ingredients for the marinade. 2. 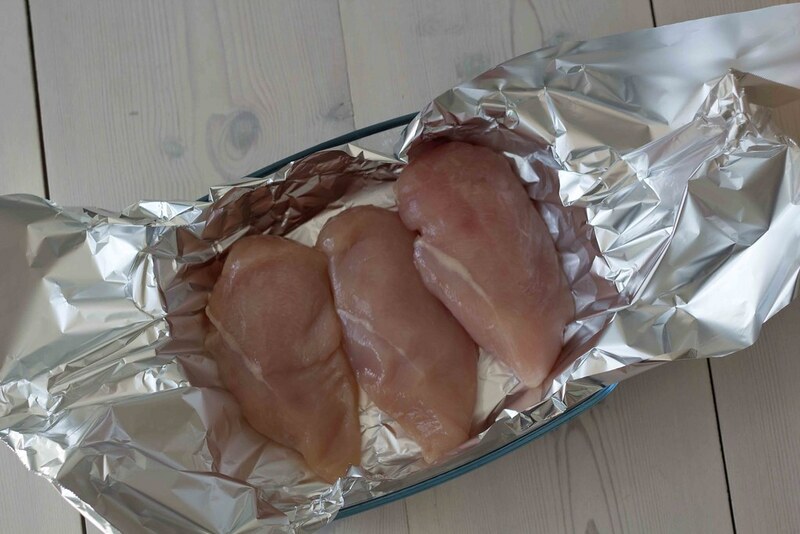 Put the chicken fillets on a piece of aluminum foil and place them in a baking dish. 3. Pour the marinade on top of the fillets. 4. 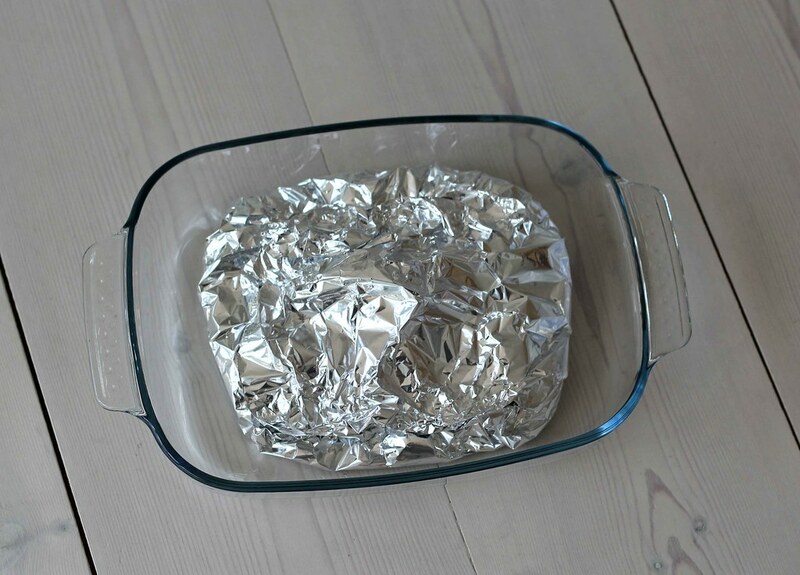 Use the extra aluminum foil to warp around the fillets and put the them in the fridge for a couple of hours or preferred overnight. If you are in a hurry simply skip this step. 5. Put the chicken in the oven at 150 C (300 F) for about 15 minutes. Turn down the heat to 110 C (230 F) and let the chicken cook for about 3 hours. 6. After the 3 hours take out the chicken and use two forks to pull the meat into small pieces. 7. Serve the pulled chicken with some freshly baked burger buns and some coleslaw.